Here at Shelterbelt, we have ample entertainment to help us pass the long, dark Winter. 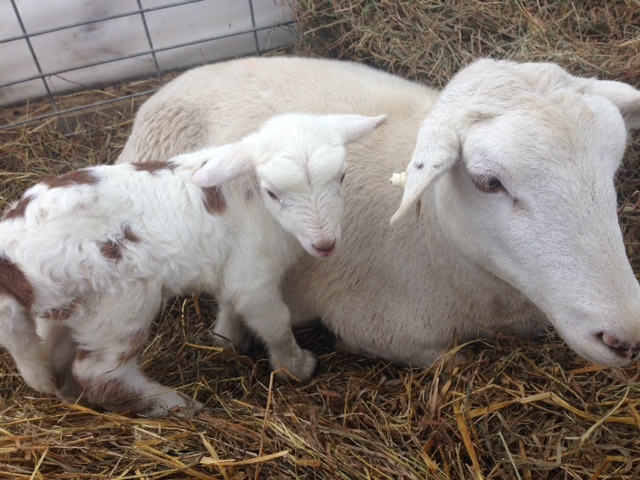 First, meet the newest members of the farm team: Keira and Luke. 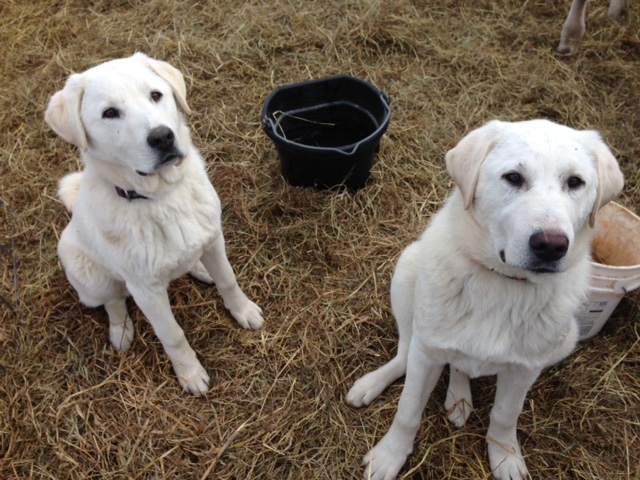 Like our locally famous “turkey dog,” Derin (who we lost to a car accident last Spring) they are Akbash dogs. This is a very old livestock guardian breed originally from Turkey. Luke and Keira are still pups, about 7 months old, and about 2/3 of their adult size. So they are big energetic babies! They live adjacent to the sheep and our family cow Chestnut, in our hoophouse. We allow them to have supervised visits with the sheep, the concern being that if left to their own devices, the dogs may play a little too roughly with the ewes. They are still puppies after all. The primary concern actually is what they would do to a lamb when it’s born, as they’ve not seen newborn lambs before and may consider them to be “intruders” to the flock. 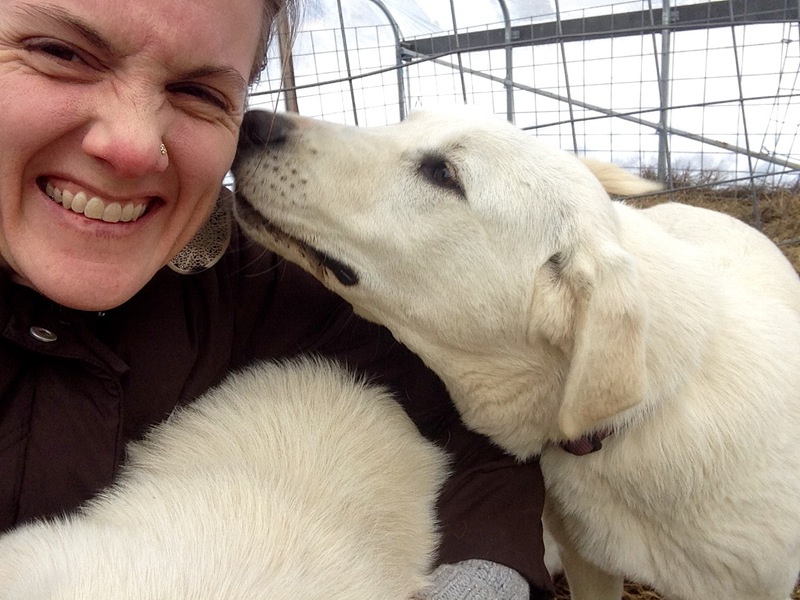 By Springtime though, these dogs will be out in the pasture, unsupervised, keeping sheep in and deer and coyotes out. And in April they’ll be meeting chickens for the first time. Let’s hope these dogs are fast learners, as we will need their help to keep the chickens safe from our plethora of predators. 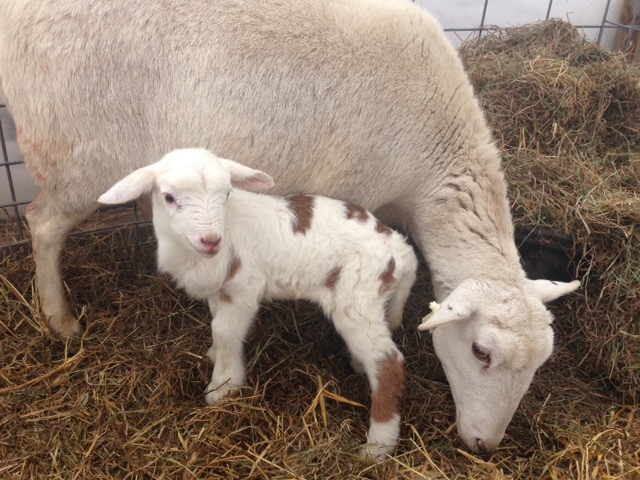 But the real attraction on the farm has just arrived: our first baby lamb of 2015! And it’s a girl, which means she’ll be added to our breeding flock, bringing our numbers up to 15. Over the next several years, we plan to quadruple the size of the flock, so we need lots of girls born! Most of our ewes don’t have names, but this little one is named Haunani, the Hawaiian word for “beautiful snow”, and we call her Nani. Over the next month, we are hoping to welcome another dozen or so lambs. Despite this blustery, wintry weather, the sheep are cozy and comfortable in the hoophouse. Especially on sunny days when it’s coldest outside, the hoophouse warms up nicely, and the girls lounge around on their bedded pack, chewing cud. We’ll post the final tally, and some more pictures, when lambing season is over!